Midnight Town is a Frontier Town on the world of Amaranthyne. While Amaranthyne is a world with a variety of different climates and types of land mass covering its surface, the region that Midnight Town sits in is notable for being arid and largely devoid of plant life. Midnight Town sits on the border between the civilised part of the world and the Roiling Wastes, an arid desert which is hostile to human life. Midnight Town is named after one of its particularly notable geographical features. After midnight each night, residents of the Town have the world's best view of Amarathine's tidally locked satellite, the Smiling Moon. The moon is named for a series of crags and craters on the moon's surface that resemble a smiling face, and it takes up around a quarter of the visible sky (though it can be difficult to see clearly in the daylight). Midnight tourism trips to the Town are not uncommon, as the sight is said to be quite breath-taking. Many of the typical tropes of Frontier Towns (which tend to be analagous to towns in the American Wild West) find their place in Midnight Town. The people are simply dressed, well-armed, set in their ways and stubborn. They value freedom and liberty highly, but bind themselves by strict but implicit codes of etiquette. There is little in the way of criminal regulation, meaning that most vices such as drugs (save for those proscribed by Imperial law), alcohol and gambling are perfectly legal. However, other elements of Midnight Town are not so typical. The Town is large, approaching the size of a city. Bureaucracy and industrialisation are a fact of life, with most of the town working in the local Factorum or the Administratum precinct to earn their god-given wage. Its connections with greater civilisation are also stronger than the average Frontier town, with both Schola Progenium and the Imperial Guard facilities finding welcome within its walls. Midnight Town is at a moderate technological level. It is no Forge world, but there is access to all manner of las, low-tech and solid projectile weaponry and armour, as well as technology such as vox-casters, electro-wires, automobiles and some cogitator systems. People will have heard of more advanced technology such as void ships and bolt guns, even if they have never seen one and couldn't tell you how it worked. Midnight Town is divided into two regions. The first is Inner Town, comprising the busy and largely industrialised town centre, the seat of government, and residential areas for the richer residents. The second is Outer Town, which comprises most of the residential areas and shopping and recreational facilities for the townsfolk. The area outside of the Town is the Wastes, part of the arid desert. 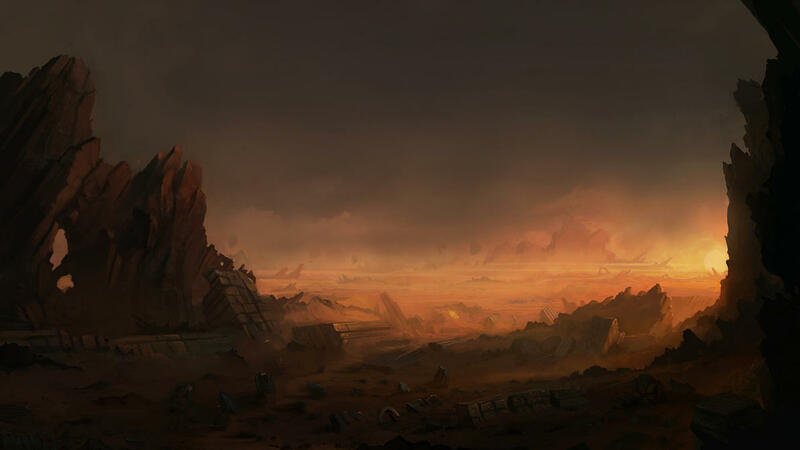 Some structures in the Wastes are close to the town and largely considered to be a part of it despite being outside of the Town walls, such as the Grox Farms and the Church of Divine Grace. Other than this, the Wastes are largely considered to be hostile territory, swarming with vicious beasts and mutants.